The Eater of Books! : December 2014 New Release Giveaway! Welcome to the December New Release Giveaway Hop! The December New Release Giveaway hop is sponsored by Bo-ok Nerd. This month, I'm giving an ARC of Zodiac by Romina Russell! 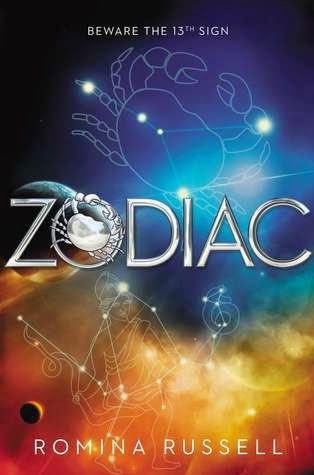 Win an ARC of Zodiac by Romina Russell! 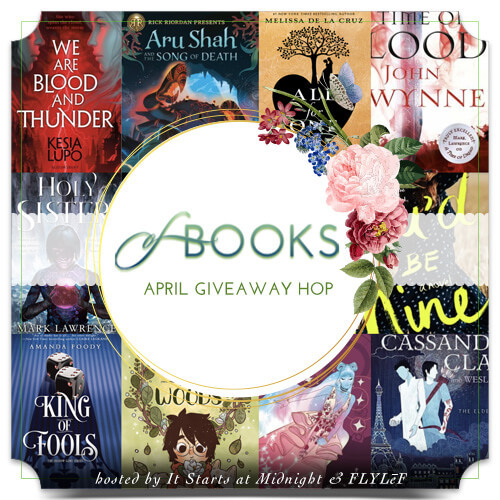 PLEASE SEE THE GIVEAWAYS PAGE AND/OR THE TERMS AND CONDITIONS LISTED IN THE RAFFLECOPTER BEFORE ENTERING! My favorite YA read was Isla and the Happily Ever After. I had a great year with books in 2014, but I have to say that one of my ultimate favorites was Unmade by Sarah Rees Brennan! Thanks for the giveaway, and I hope you have a very merry Christmas! Oooh, so many! One of mine was Salvage by Alexandra Duncan! It's really hard to pick just one book, but I absolutely loved Ruin and Rising by Leigh Bardugo, perfect ending of the perfect trilogy. Oh dear, I'm not sure I can pick just one! The Winner's Curse, Heir of Fire, Red Rising, Deliverance, A Mad Wicked Folly... I'm having trouble picking just 10 for the Top 10 week!! I'm not entirely sure! I've read plenty of YA this year. Maybe City of Heavenly Fire and Still Star-Crossed? Beautiful Curse as well! 2014 was a year of a lot of good reads for me! Oh man. I loved so many books, but The Winner's Curse really stood out to me the most. ♥ Thanks for the giveaway! Lies We Tell Ourselves by Robin Talley. I really enjoyed Home Is Where You Are. There were lots!! I have read so many books this year that became a part of my all time favorites! One of them is Daughter of Smoke and Bone trilogy by Laini Taylor. Probably Blue Lily, Lily Blue was my favorite. Faking Normal :) Thanks for the chance! Hmph. I haven't decided yet which book is my favorite of 2014, lol. Maybe Winterspell? <3 I'm looking into my favorite books next week, I think. Or this weekend. I haven't thought about it at all, lol (A) ANYWAY. Amazing giveaway Alyssa. <3 You are the best. I would love to win this book :D The cover is so gorgeous. My favorite book that I read this year was Grave Mercy by Robin LaFevers. I loved Midwinterblood by Marcus Sedgwick this year! Haven't any favorite yet, still looking. I think it was probably Scarlet and Lady Thief by AC Gaughen. Thanks for the giveaway! On the top of the list would be Dark Triumph and Mortal Heart by Robin LaFevers.
. Thanks for the giveaway! My favorite was either Cress or Silver Shadows. My favorite YA read of this year was Stolen Songbird by Danielle L. Jensen! Shadowcursed by Gelio R. Freisher! I find it quite a challenge to pick one favorite of this year and as I write this I have yet to decide. 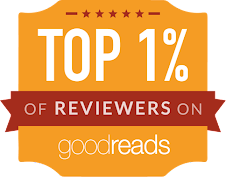 While I was ecstatic to read Heir of Fire (#3 Throne of Glass), I have to say it is tied for first with Reboot. For books published this year, I think it's a tie between Into Still Blue and Cress. 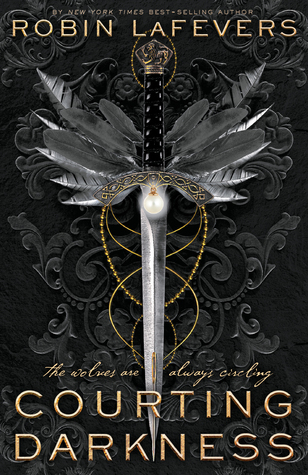 My favorite YA book for 2014 was City of Heavenly Fire by Cassandra Clare. Eek, just the one??? Based on the books I've read this year, maybe Scarlett Dawn's, King Cave. I loved Insomnia by J.R. Johansson. I'm currently reading Cinder by Marissa Meyer though, and love it, too! This Broken Stars was definitely my favorite YA read this year! So many choices...I'd have to say the Winner's Curse! I'm in the middle of Shadow & Bone, though, and absolutely in love. I loved Snow Like Ashes and Isla and the Happily Ever After. I really loved Going down in Flames! Thanks for the awesome giveaway! The One by Kiera Cass! Ruin and Rising by Leigh Bardugo! Oh no. Too many The Unbound, Gathering Darkness, The Book of Ivy, To All the Boys I've Loved Before... yeah, a bit too many. My fav YA read would have to be HEIR OF FIRE!! !